Dream of a store which has done all the hard yards for you, gathering adorable wares from around the globe and selling them all under the one virtual roof? Moonlight Bundles is making dreams come true with their stellar, carefully selected gear for the sweetest bundle of them all! Upon opening the virtual doors of Moonlight Bundles, I can confidently assume you will fall in love with most things lining the shelves. From brilliant prints for nurseries and play rooms to the most darling of wardrobe finds, it’s all here. My favourite wardrobe finds are for the upcoming cooler seasons, should this heat ever subside. 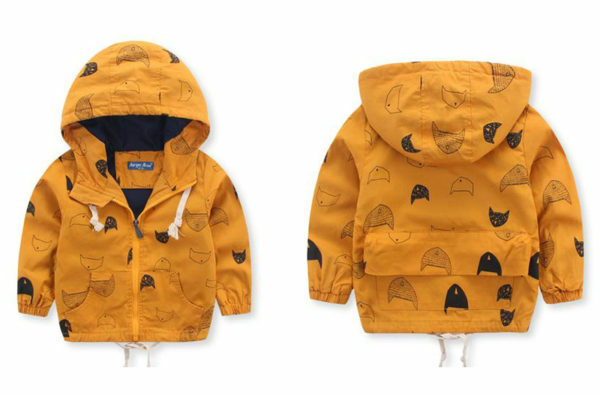 The Fall Colours Rain Jacket in all its funky print glory. Choose from red or yellow, it’s available in sizes 2 to 7, $46. 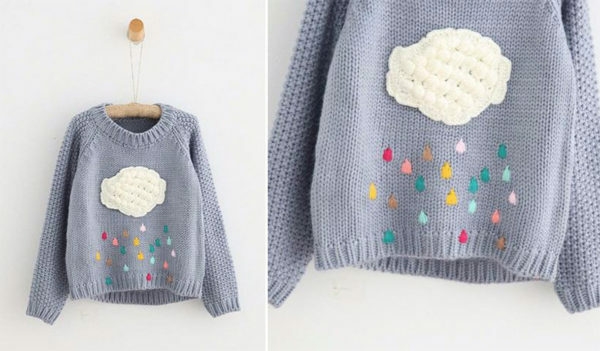 See that Rain Cloud knitted sweater with magical coloured droplets? It’s available in sizes 3 to 7 and priced $46, I’ll take that too. 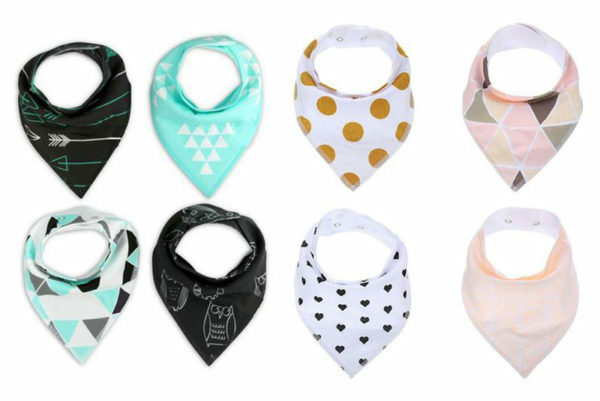 You can never have too many funky bibs and these are fantastic value – a set of four printed baby bandana bibs in awesome prints will set you back just $20! Definitely stop by the prints section – it’s a haven of monochrome prints. 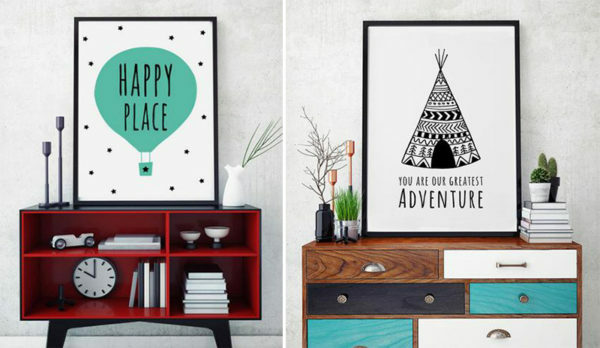 My picks are the Our Greatest Adventure Canvas Print and equally sweet Happy Place Balloon Canvas Print – both available in several sizes, priced from $20 each. Make yourself a coffee, set yourself aside some time and head to Moonlight Bundles to explore the entire curated collection. My tip: do yourself a favour by flicking the currency tab from US to AUD to keep yourself in check. Maybe, depending on willpower.